Jag har intervjuat min stora idol! Jag har fått chansen att intervjua den ultimata konsultexperten Peter Block, som bland annat är känd för den bästsäljande boken Collaborative Consulting. Han har skrivit flera böcker och hans utbildningsföretag har även hållit kurser i relaterade ämnen. Här kan du läsa mer om honom, hans böcker och verksamhet. What is the key success factor in the work place today? Capacity to emotionally and conceptually connect with potential clients or employers. This means showing up to help them make a good decision, not to sell service or get the job. What advice would you like to give to the new generation often referred to as millennials to become successful in the work place? Having a clear purpose for you work life. Deciding what you really are committed to. Knowing what your gifts are. Live simply to give yourself more choices. Let go of your ambition and just do good work. 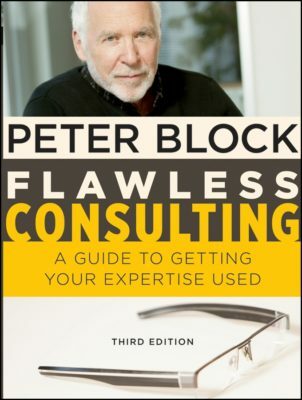 Has the method ”phases of consulting” that you mention in your book Flawless Consulting changed over time? What has not changed? The major changes are the advent of the digital, automated and outsourced age. The challenge is to humanize the alienating virtual tools that dominate our ways of doing work. The phases stay the same: Understand the story of another human being without ever giving advice. Be clear about your own wants. Put most of your attention on what is working in the system you are touching. Facilitate the relationships with each other of people that you are working with. Slow the world down to go deeper, not faster. Find support for yourself in living an alternative to a dominant, globalizing, imperializing narrative that romanticizes disruption, is destroying the planet and dividing the classes with an obsession with growth and convenience. What are your thoughts regarding the consulting process? The essence of consulting is to focus on the relationship and let go of the need to be right, be an expert and to win. The heart of relationship is contracting. Success in the work is to know what to do when things are not going well. This calls on us to stop and ask people in the room one question: “Are you getting from this meeting what you came for?” And when they express their disappointment, say “Thank You,” No defense. No explanation of your own good intentions. 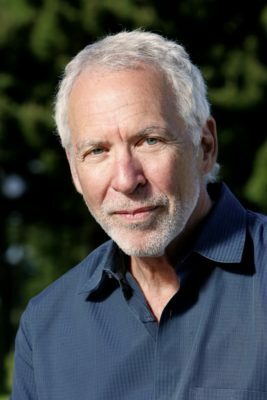 Peter Block is a USA-based author and consulting expert. His work is about empowerment, stewardship, chosen accountability, and the reconciliation of community where he is. Peter is the author of several best selling books. The books are about ways to create workplaces and communities that work for all. They offer an alternative to the patriarchal beliefs that dominate our culture. His work is to bring change into the world through consent and connectedness rather than through mandate and force. The most widely known being Flawless Consulting: A Guide to Getting Your Expertise Used (1st edition 1980, 3rd edition 2011); Stewardship: Choosing Service Over Self-Interest (1993) and The Empowered Manager: Positive Political Skills at Work(1987). In 2008 Community: The Structure of Belonging was published, and The Abundant Community: Awakening the Power of Families and Neighbhoods , co-authored with John McKnight, came out in May 2010. He has also authored Flawless Consulting Fieldbook & Companion: A Guide to Understanding Your Expertise (2000) and The Answer to How Is Yes: Acting on What Matters (2002). Freedom and Accountability at Work: Applying Philosophic Insight to the Real World was co-authored with consultant and philosopher Peter Koestenbaum (2001). He is a partner in Designed Learning www.designedlearning.com, a training company that offers workshops designed by Peter to build the skills outlined in his books. He received a Masters Degree in Industrial Administration from Yale University in 1963; he performed his undergraduate work at the University of Kansas and is the first Distinguished Consultant-in-Residence at Xavier University. He also serves on several boards and is an active citizen in his local community in Cincinnati, Ohio. More about Peter and his books: www.peterblock.com & www.designedlearning.com this is Peter’s training company that delivers Flawless Consulting workshops and sells his books.